The Liquor & Tobacco Megastore ‘Booze It Up’ is conveniently located in the heart of Simpson Bay, close to the entrance of Isle Del Sol, St.Maarten & again came highly recommended last season. Cuvee Jean Jarreau Red, White, Rose and "Bulles de Rose with Grapefruit" high-end wines are marketed specifically to the mega and Superyachts. Orders are delivered to yachts in the Mediterranean and Caribbean and can be shipped worldwide. Check out their website for more information. 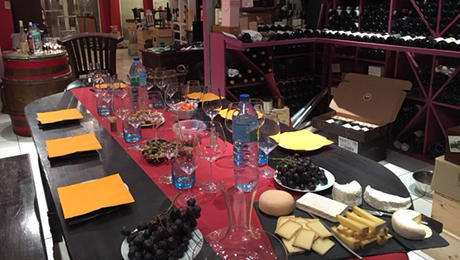 Located on Rue de l'Anguille in Marigot, this store has a great selection of wines from France, Spain, Italy, the U.S, Argentina, Chile and Australia. Same day delivery is offered.